Phil Englishman, Co Chair of the CF Snowbirds Celebrate The Bruce 150th presents Andrew McBride, Bluewater Radio Station Manager with a cheque in appreciation of Bluewater Radio’s support, and live coverage of the event held at The Hanover Saugeen Airport on June 21st 2017. 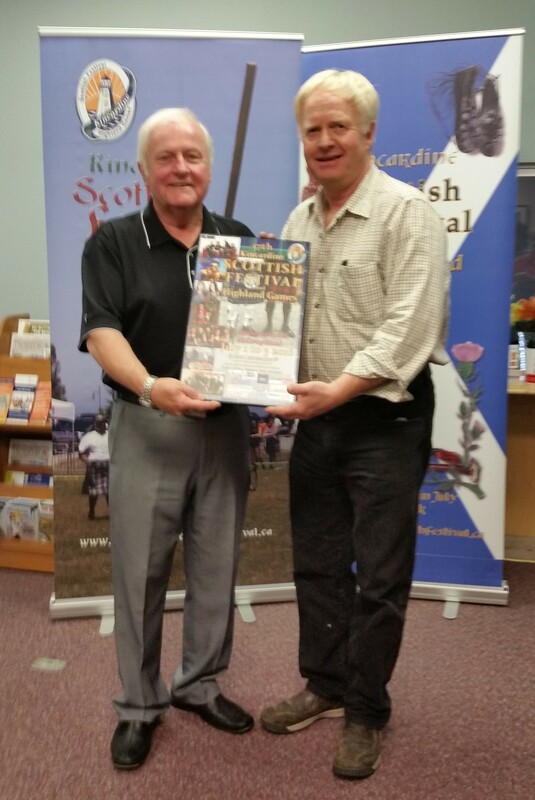 Bluewater Radio is pleased to be an Annual Sponsor of the Kincardine Scottish Festival & Highland Games. Pictured, Festival Chair Tony Doherty and Station Manager Andrew McBride. BWRs Andy Mack has been the festivals MC and announcer since 2003. 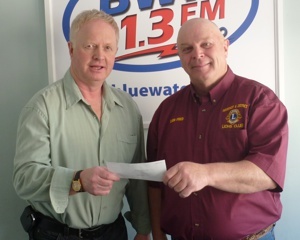 Bluewater Radio wishes to thanks the executive of The Royal Canadian Legion Branch 130 for their generous financial donation. 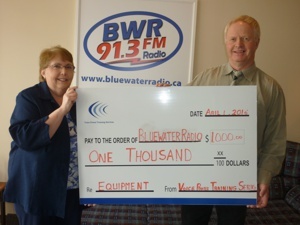 This will allow Bluewater Radio to purchase a new microphone for the main studio. The new microphone will greatly improve the sound quality of future guest interviews. 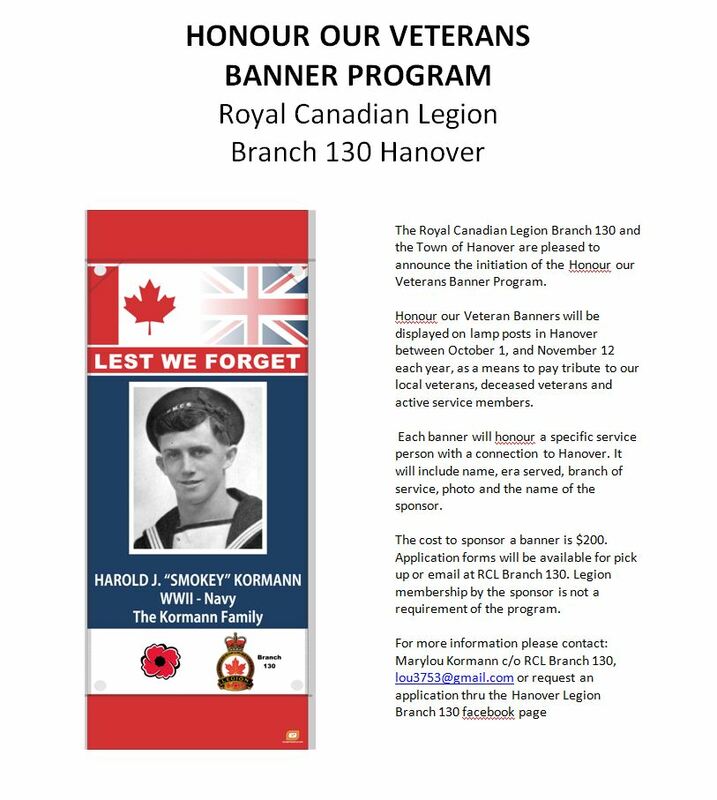 The Hanover Legion has generously donated $500.00 to the station to purchase a new RE 20 Microphone for our front Broadcasting Room. 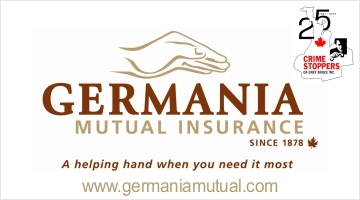 We thank you for your donation. 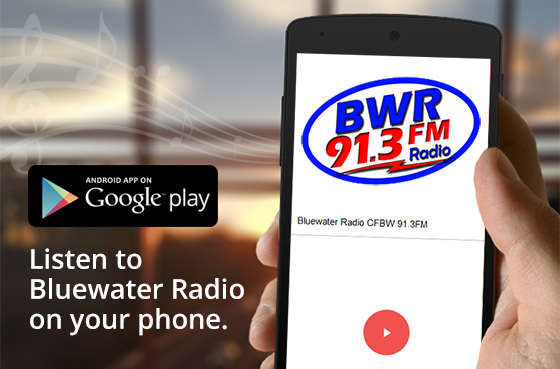 Voice Power Training Services is pleased to support 91.3 FM Bluewater Radio’s commitment to the community. Voice Power Training Services donated $1000 for the purchase of four new state-of-the-art microphone processors. 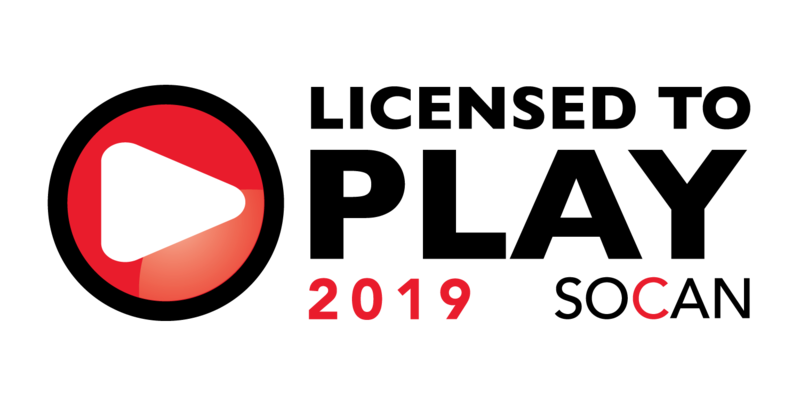 The processors will greatly enhance the station’s spoken word broadcast quality. 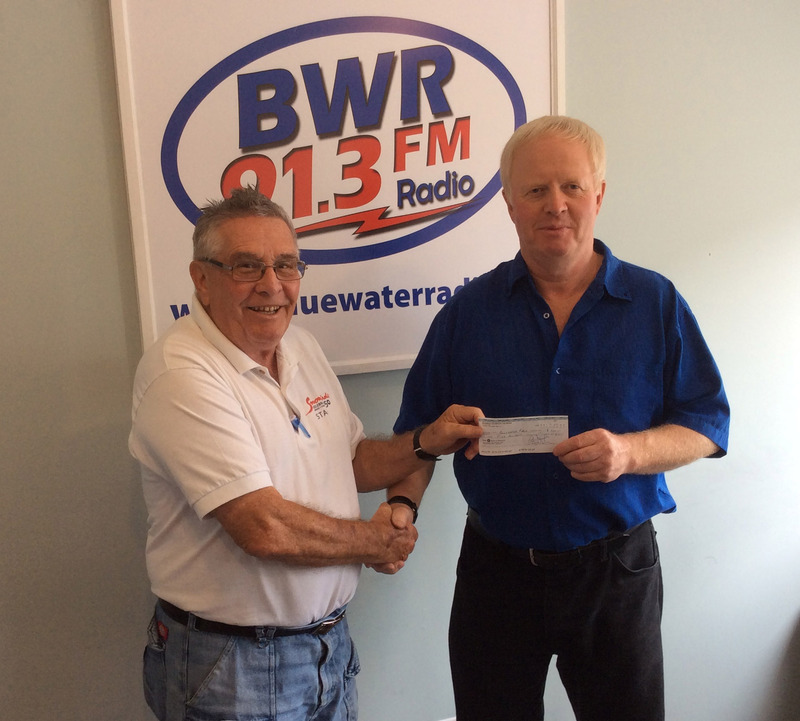 Brenda Smith, founder of Voice Power Training Services presented the cheque to Bluewater Radio Station Manager Andrew McBride. The Neustadt & District Lions Club recently made a generous donation to Bluewater Radio 91.3FM. The donation was used to purchase a new 12 Channel production mixing board and a studio microphone. The new equipment will be an integral part of BWR’s new production facility. Accepting the cheque from Neustadt & District Lions Club President Fred Helwig is Bluewater Radio, Station Manager Andrew McBride. 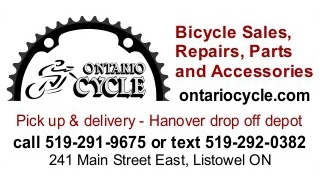 Hanover Rotary Club is pleased to support the good work Bluewater Radio 91.3 FM does for the community. 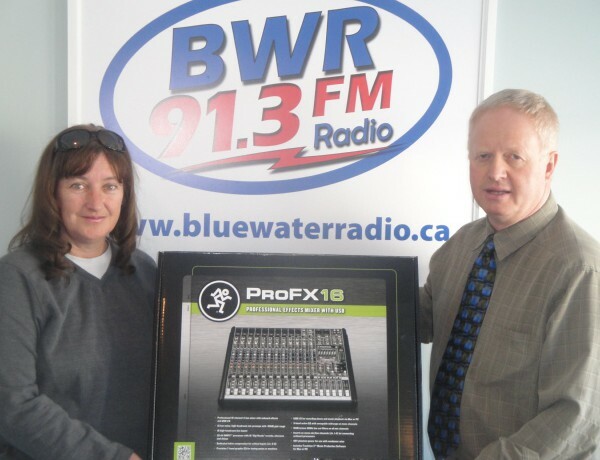 Cheri Mollison of Hanover Rotary Club presents a cheque to Andrew McBride of Bluewater Radio for the purchase of a new 16 channel mixing board, which will be used for the production of all community announcements and special features.